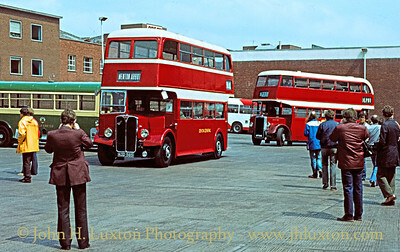 Devon General Ltd buses after independence from Western National in January 1983. 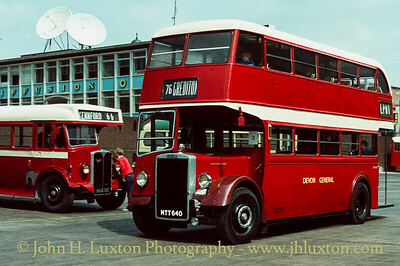 Devon General NTT679 - AEC Regent III 679 at Exeter Belgrave Road Depot on the first day of the rally. Devon General AEC Regal Mk1 single decker HUO510 / SR510 at Exeter Belgrave Road Depot on the first day of the DG 65th Anniversary Rally. Devon General AEC Regal Mk1 single decker HUO510 / SR510 and AEC Regent III KOD585 / DR 585 at Exeter Belgrave Road Depot on the first day of the DG 65th Anniversary Rally. 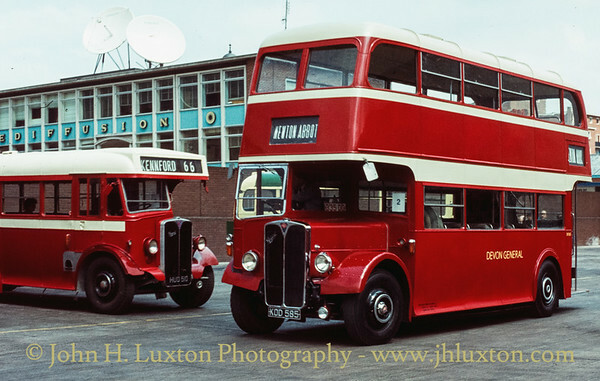 Devon General AEC Regal Mk1 single decker HUO510 / SR510 (1947) and Leyland Titan PD2/1 MTT640 / DL640 (1951) at Exeter Belgrave Road Depot on the first day of the DG 65th Anniversary Rally. 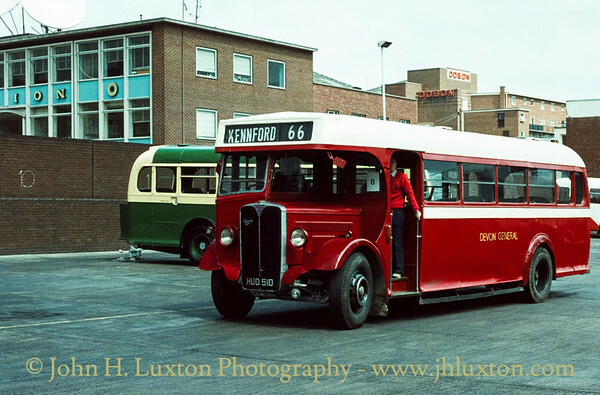 AEC Regent III KOD585 / DR 585 attracts the photographers' attention at Exeter Belgrave Road Depot on the first day of the DG 65th Anniversary Rally. 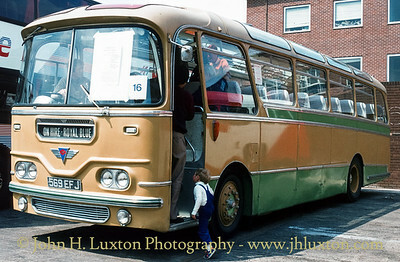 Devon General Albion Nimbus XTA839 / SN839 (1958) arriving at Exeter Belgrave Road depot on the first day of the Rally. 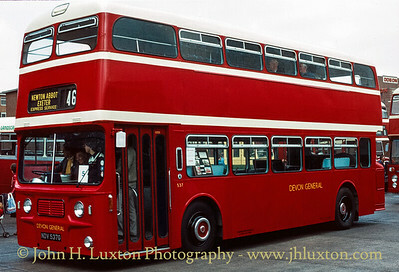 At the time it was operating for Red Bus Services of East Devon. 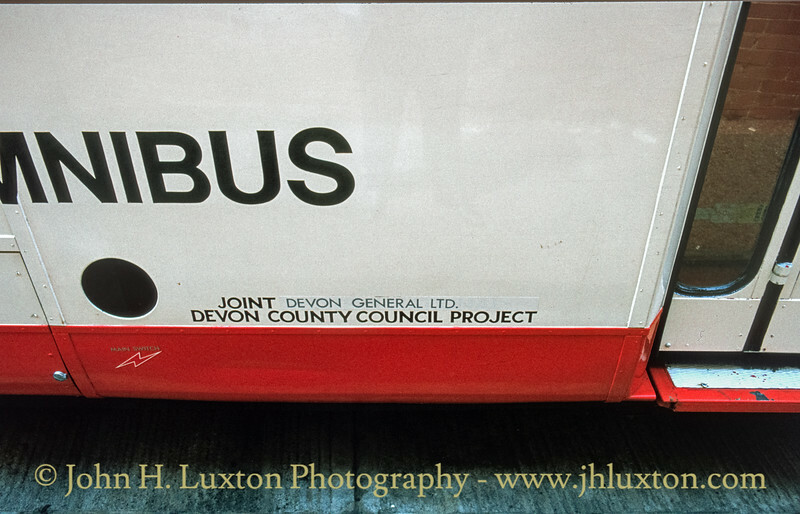 Not to be confused with North Devon / Red Bus. 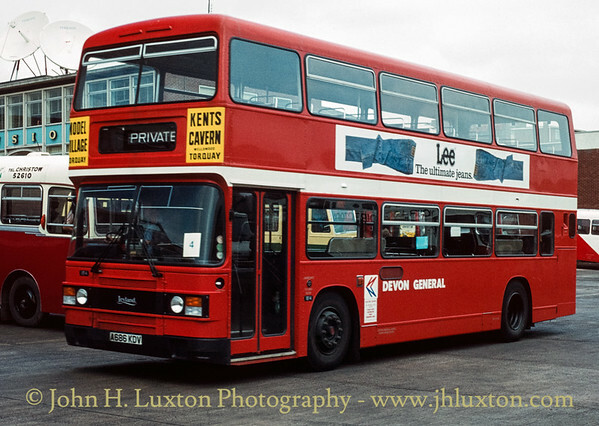 Ex-Devon General "seadog" Atlantean, originally 925, 925GTA (Admiral Blake) was in service with North Devon Ltd trading as Red Bus when it attended the Devon General 65th Anniversary Rally at Exeter Belgrave Road Depot. 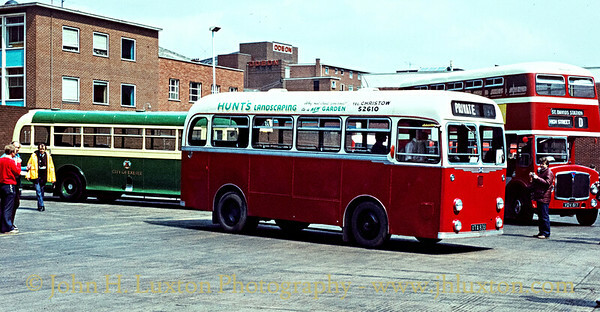 Preserved Devon General 1965 AEC Regent V / Park Royal arriving at Exeter Belgravde Road Depot. 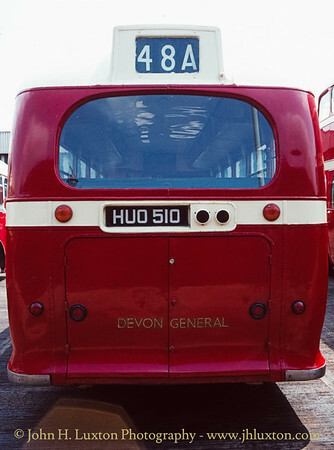 Devon General 1965 AEC Regent V / Park Royal at Exeter Belgravde Road Depot. 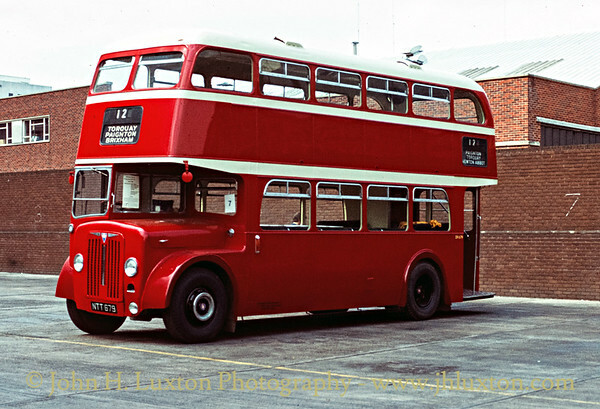 Preserved 1957 AEC Regent V VDV 817 with 59-seat Metro-Cammell body seen at Exeter Belgrave Road. 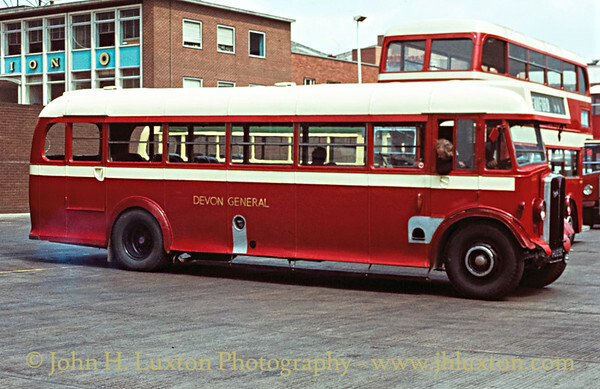 Devon General Willowbrook bodied AEC Regent V 518 CTT / 518 of 1965 at Exeter Belgrave Road depot. The vehicle is now preserved. 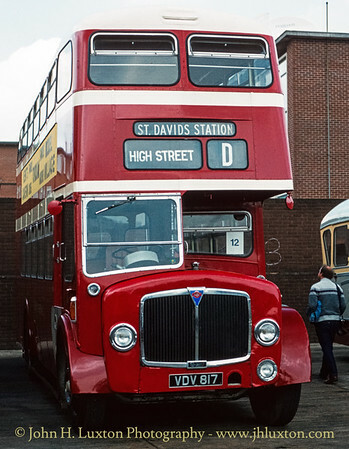 Former Devon General 537 NDV537G, a Metro-Cammell-bodied Leyland Atlantean PDR1 arrives at Exeter Belgrave Road for the rally. Devon General Bristol FS Training Vehicle TV2 5675EL at Exeter Belgrave Roasd depot. 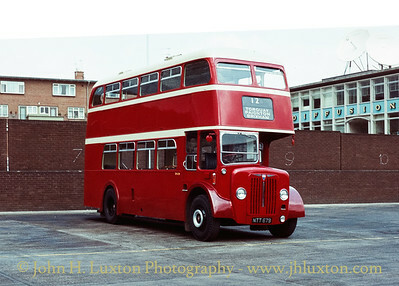 Built in 1960 it was originally Hants & Dorset no. 1448. Former Exeter City Leyland Panther TDV217J This Marshall bodied vehicle was ordered by Exeter Corporation but delivered after their takeover by Devon General in 1970. 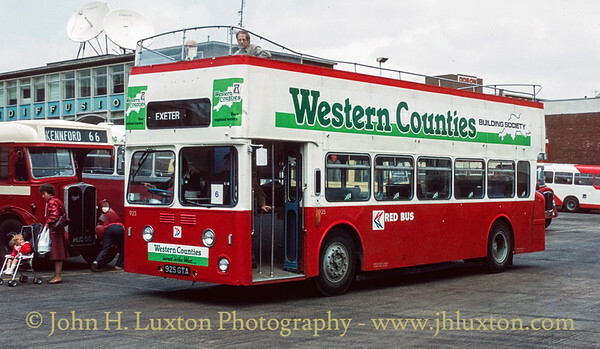 Western National after aquiring Devon General converted into a mobile publcity unit. 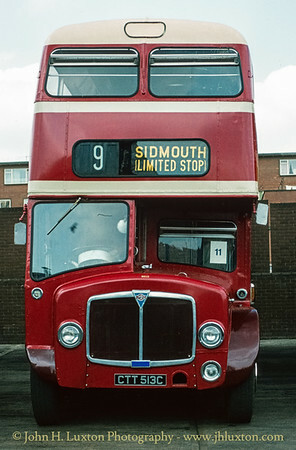 It passed to Devon General Ltd in 1983. 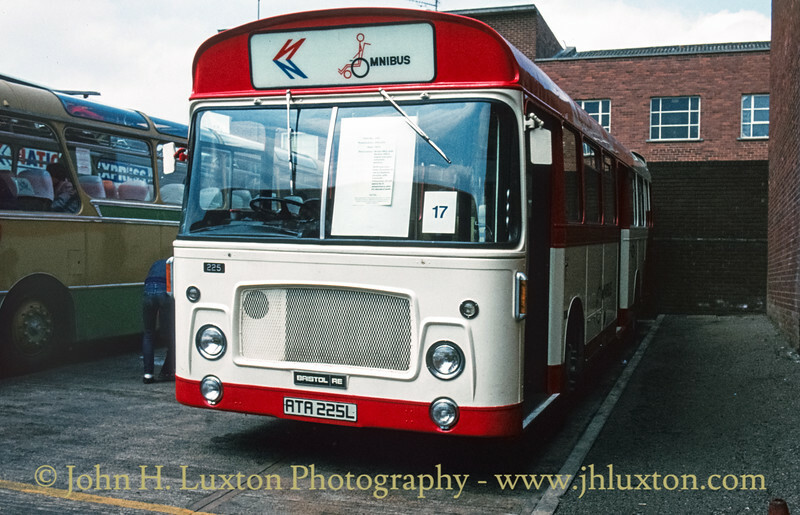 It is seen at Belgrave Road Depot, Exeter. Bristol RELL3/1905 ATA225L built for Western National in 1973 and modified in a joint venture with Devon County Council as a wheelchair carrier known as the "Omnibus". 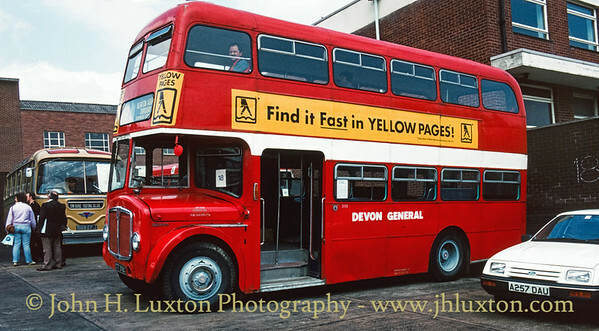 The vehicle passed to Devon General Ltd on its formation in January 1983. It has passed through several owners and appears to have moved to Leeds according to an internet reference. 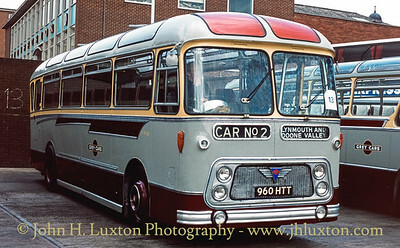 Bristol RELL3/1905 ATA225L built for Western National in 1973 and modified in a joint venture with Devon County Council as a wheelchair carrier known as the "Omnibus". 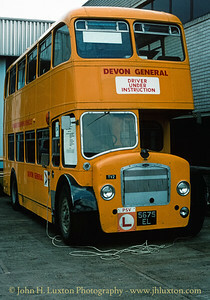 The vehicle passed to Devon General Ltd on its formation in January 1983. It has passed through several owners and appears to have moved to Leeds according to an internet reference. Note how a sticky label has been used to cover up "Western National" on the legal lettering. 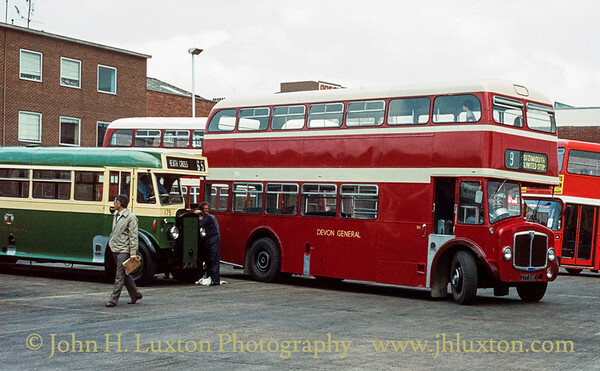 Devon General Grey Cars AEC Reliance/Willowbrook Viking 960 HTT at Exeter Belgrave Road Depot.